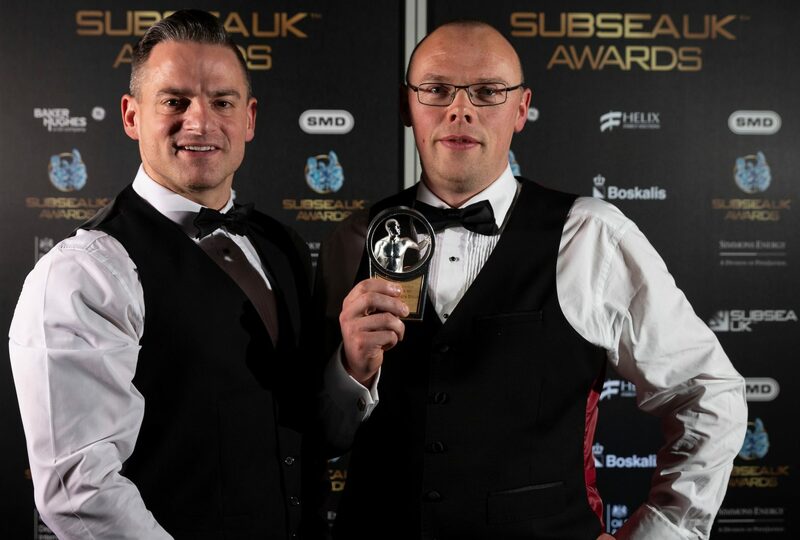 The main award of last night's Subsea UK Awards, held at the AECC, Aberdeen, was won by marine equipment fabrication & rental specialists, Motive Offshore. Congratulations to the whole team - well deserved! Not only are we very happy that they picked up this award but we are also extremely proud of the fact that Design Inc worked with Motive Offshore in the creation of their brand identity. Our association with Motive began towards the end of 2014 when we had been shortlisted to pitch for the company’s new brand identity & collateral. And, we are proud to say that our pitch successfully beat off four other branding agencies to win the account. The aim was to fully rebrand them with corporate brand identity, stationery, brochures, advertising and exhibition stand graphics in time for their launch at Subsea Expo in early February 2015. With a two month lead time, we had our work cut out but we knew it was doable if we were all aligned. The first steps in the Motive branding process (and for any brand identity project we undertake) is the creation of a comprehensive branding brief – a document that would outline the goals, aspirations and outlook of a new brand style. This document also enables both the client and agency to agree on the creative routes available, the processes, resources and schedules. We would then use this document to keep us all on track, and ‘on brief’. The brand colour palette was developed around an optimised shade of light blue and was inspired by the hi-vis safety equipment colours used in and around the offshore and subsea industries. The approved brand identity was designed to represent the letter ‘M’ – standing for Motive, of course. Moreover, this identity was created to resemble an image of a winch spool (one of the company’s core solutions). Furthermore, the symbol saw three loops of the spool hanging increasingly lower to make the suggestion of improvement and efficiency. Back in 2015, the company would be split into two divisions: Engineering and Rentals and the resulting brand collateral would be designed to differentiate between the two whilst still being visibly connected by a consistent brand style. This utilised both line graphics and the brand device (the ‘m’) acting as a window, through which imagery of their staff, equipment and solutions would appear. Furthermore, this would always be complimented by the new company-wide strapline: People. Product. Performance. The company’s brand launch at Subsea Expo 2015 was a great success and further positioned Motive at the forefront of their sector. Four years on, and despite sector turmoil, the company is even stronger, more successful. And, the recognition this year as Company of The Year at the Subsea UK Awards is testament to the people, products and performance of the company. 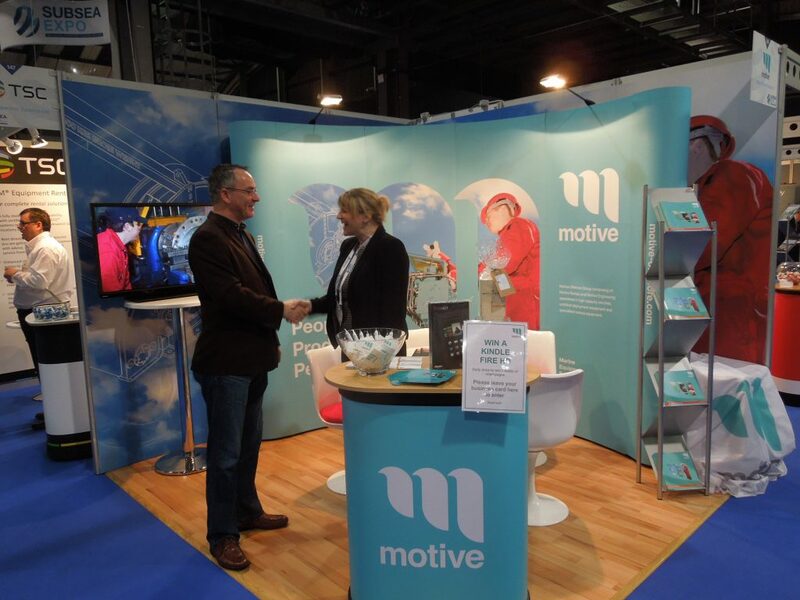 We are proud to have worked with Motive Offshore and to have designed their brand collateral and so, so proud they have got the recognition they so richly deserve. Congratulations to the team. To discuss your own brand identity requirements, please contact us on 01784 410380 or via email. In the meantime, view our branding portfolio.